In Rich Habits, Tom Corley provides a step by step financial success program that is concise, easy to understand and even easier to apply, regardless of your age, education or income level. Most individuals are struggling financially and desperately looking for help in achieving financial success. Every person seeks prosperity for themselves and their families, and with Rich Habits the secret to financial success, possessed by only the wealthiest individuals, will be revealed. 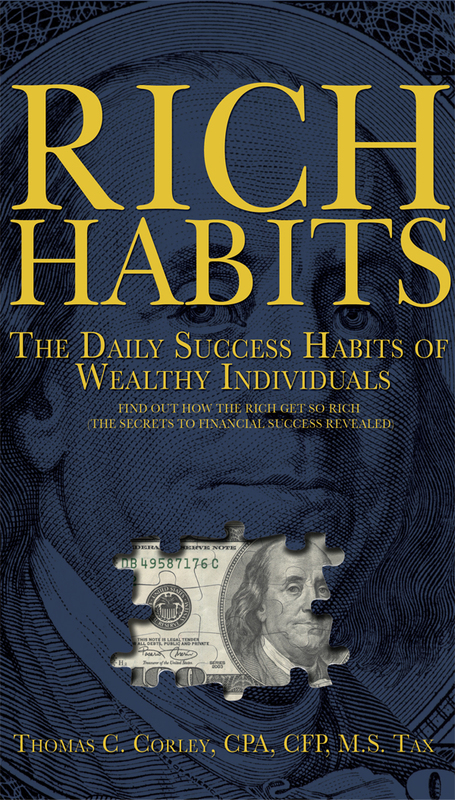 Join the "Rich Habits" financial success revolution.